Stick your blocks together 12 times stronger using Le-Glue. Never have your creation fall apart again…unless YOU want it to. Le-Glue is the non-permanent solution. Will release with warm water, immerse for 30 seconds and just pull apart! 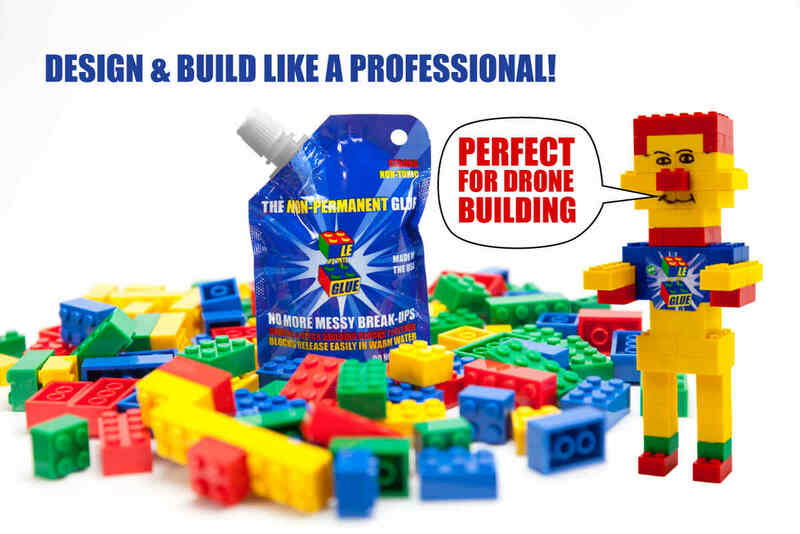 Safe to use with all building blocks including Lego® Brand or Mega Bloks® Products. Le-Glue saves the day and takes the blues away!! 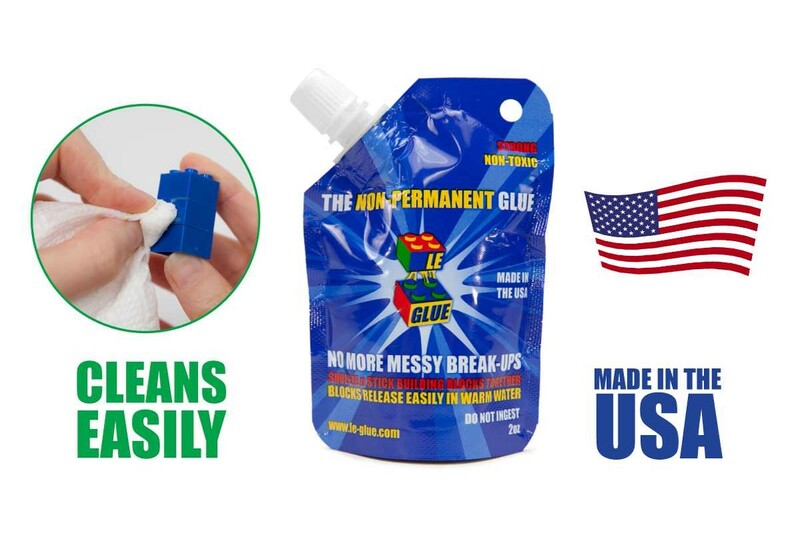 LE-GLUE IS AVAILABLE IN AN EASY-SQUEEZE DISPENSING POUCH!